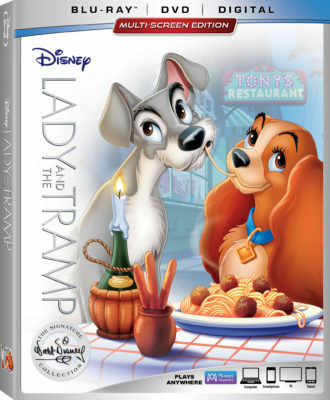 Walt Disney’s classic film Lady and the Tramp returns from the Disney Vault as part of The Walt Disney Signature Collection. 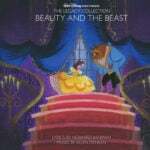 The film was last released on Blu-Ray through the Diamond Edition line and was among the first in that series to be sold as a combo pack with a digital copy, although it wasn’t standard and fans had to seek out the gold border version to obtain it. 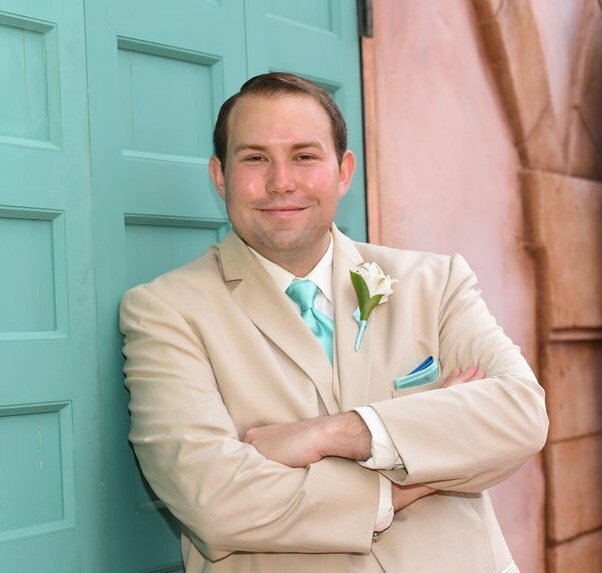 Disney is banking on enough fans having not previously owned a digital copy, as its inclusion and solo digital release are the main advertising push this time around. Lady and the Tramp tells an original story about a well-to-do Cocker Spaniel named Lady whose life is turned upside down with the arrival of a baby in the house. 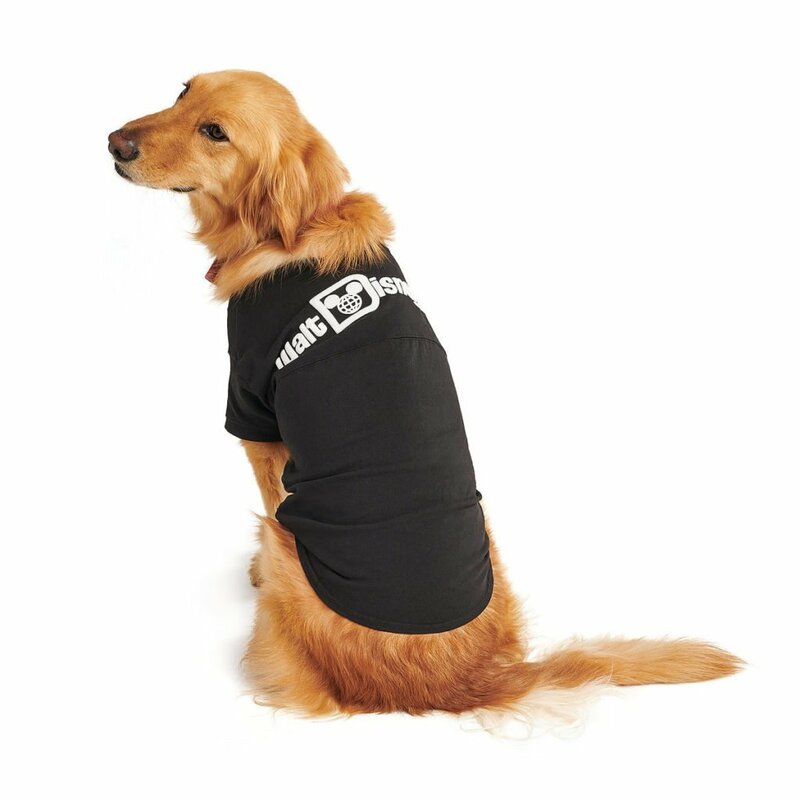 Kicked out by her Aunt Sarah, Lady meets and falls in love with a streetwise mutt named Tramp. But after a memorable romantic evening, they find themselves torn apart when Lady is caught by the local dog catcher and she learns a little bit about Tramp’s past exploits. Can their love survive the challenges they are about to be put through? With a cartoony exterior, Lady and the Tramp actually deals with some of the most adult themes of any Disney film. 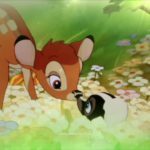 At the same time, it’s wrapped up in such a charming package and presented in such a soft way that it’s not only easy to digest, but one of the most memorable and iconic animated features of all time. There’s an appeal to this film that few have been able to top, though they’ve certainly tried. Set at the end of the Victorian era and inspired by Walt Disney’s boyhood hometown, Lady and the Tramp is a salute to Americana. Released the same year Disneyland opened, there have always been parallels between this film and Main Street, USA, which also had a similar inspiration. Through fantastic bonus features repeated from previous releases, fans will learn all about this rich Disney history. 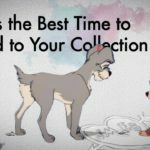 Disney movie collectors no doubt already own Lady and the Tramp and the Walt Disney Signature Collection has always been designed to appeal to this market. For this reason, it’s a little surprising to see how light the new bonus content is. Less than 15-minutes of new content will appeal to the adult collector and this time around, there isn’t a previously unreleased Oswald short to sweeten the deal. Instead, they celebrate the “Multi-Screen” viewing options, with three ways to watch the film. Only one of those ways is actually new and unless you need help with lyrics, won’t add much value for the average adult viewer. Sing-Along Mode – Stylized lyrics appear under the letterbox during the film’s songs. Inside Walt’s Story Meetings – A recreated story meeting about the film uses actors playing Walt Disney and his story team with pop-up images of the speakers. This was previously available on the Diamond Edition Blu-Ray release. Walt & His Dogs (8:28) – Using interview audio from a 1955 interview with Walt Disney, we learn about all of the dogs in Walt’s life, from his boyhood days in Marceline to his poodle named Lady. New footage was filmed at the Walt Disney Family Museum in San Francisco. Stories From Walt’s Office (6:03) – A tour through Walt’s recreated office on the Disney Studio Lot hosted by Becky Cline, head of the Walt Disney Archives. It focuses on a maquette from Lady and the Tramp, Walt’s Disneyland storyboard wall, and the kitchen. More features in this series are promised in future releases of the Walt Disney Signature Collection. How to Make a Meatball and Other Fun Facts About Lady and the Tramp (9:07) – Oh, My Disney personality Alexus Gabrielle and teen chef Amber Kelly give a cooking demonstration with a healthy meatball recipe inspired by the film. Along the way, they also reveal some behind-the-scenes facts about the film. Song Selection (10:10) – The five songs from the film are presented separately with the sing-along lyrics on screen. On iTunes, they are available in English or French. Diane Disney Miller: Remembering Dad (7:45) – Walt’s daughter provides a tour of his Disneyland apartment and shares some family memories of happy days in the park with her father. Deleted Scenes (19:11) – Seven deleted scenes previously released on the Platinum or Diamond Editions are presented with a “Play All” option or individually. Introduction of Boris (10:44) – Boris and Homer were originally Lady’s neighbors and this storyboard reveals how they would have met in the 1943 version of the film. Waiting for Baby (1:27) – An alternate scene from the 1940’s version of the film. Dog Show (7:00) – The original story would have featured a sequence in which Lady and Tramp join a vaudeville dog show act. Never Recorded Song – “I’m Free as the Breeze” (1:27) – Concept art accompanies a 2012 recording of a song written for an earlier treatment of the film prior to Peggy Lee joining the project. This originated on the Diamond Edition. Classic Bonus Preview (0:48) – A promo for the other classic bonus features that you can access when you redeem the included digital copy. Lady’s Pedigree: The Making of Lady and the Tramp (52:30) – Disney historians, animators, and Marceline residents reveal the untold story about the making of the film. Well… untold pre-2006 when this full screen bonus feature was produced. Finding Lady: The Art of the Storyboard (13:03) – Animator Eric Goldberg teaches you about storyboards and reveals artwork from Lady and the Tramp in this Platinum Edition-era featurette. Original 1943 Storyboard Version of the Film (11:53) – Eric Goldberg and X present the original storyboard treatment from the film before Walt Disney shelved the project, to be retooled a decade later. PuppyPedia: Going to the Dogs (9:22) – Fred Willard hosts this look at real life dogs, originally made for the Platinum Edition. “Turning the Tables” (3:10) – A storyboard from the final film reveals a deleted segment in which the dogs imagine themselves as the master of humans. “The Arrival of Baby” (6:29) – Lady gets in the way as Jim Dear and Darling prepare the house for their new baby’s arrival. Baby Arrives (2:33) – From the 1940’s treatment, Lady narrates how things have changed since Mr. and Mrs. Fred had the baby. Lady’s Sweater (2:43) – Darling gifts Lady a sweater, but she doesn’t like wearing it. Trailers (5:50) – Three trailers are offered from the original and rereleases of the film individually or with a “Play All” feature. There are no bonus features on the DVD. The Walt Disney Signature Collection release repeats the exact same restoration and transfer as the previous Diamond Edition release. It even opens with the 1990’s blue castle intro before the Buena Vista fanfare, something Disney has removed from all previous Signature Collection releases (including the ones that should have had it, like Beauty and the Beast and The Lion King). The restoration from the previous release was spectacular, so other than correcting the wrong decade’s studio logo, it’s a beautiful presentation that leaves little room for improvement in this format. On DVD, the film looses some detail and the color palette feels less robust, with brights and darks feeling muted in comparison. The Blu-Ray features an English 7.1 DTS-HD Master Audio mix. It fills the rear channels with the beautiful score, but nearly all dialogue and sound effects remain in the center speakers. Other audio options include the Restored Original Soundtrack (2.0), plus French and Spanish 5.1 mixes. The DVD includes English 5.1, 2.0, and French and Spanish 5.1. The Walt Disney Signature Collection release of Lady and the Tramp comes in a standard Blu-Ray case with disc holders on both sides of the case. The design is in line with the previous Walt-era films in this collection, with a predominantly white color scheme. However, the border is quite different, with an obnoxious “Multi-Screen Edition” banner that overstates what should already be clear – that the film can be watched on Blu-Ray, DVD, and Digital. The included slipcover has a mostly matte finish, with glossy embossed elements and a foil border. 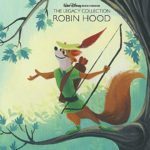 Inserts include an ad for Disney Movie Club and a digital copy code for Movies Anywhere, which can also be redeemed for 150 points. Both discs open with ads for Incredibles 2, Coco, and an anti-smoking PSA starring Cruella DeVil. The menu features animator line drawings that transform into scenes from the film set to score. Selecting “Sneak Peeks” from the menu plays additional ads for Disney Movie Club, Disney Now, and Disneynature Dolphins. While the digital copy includes nearly all of the bonus features from the Diamond Edition plus the new ones, the Walt Disney Signature Collection version of Lady and the Tramp‘s Blu-Ray disc is a downgrade. It swaps hours of worthwhile bonus features for just a few new ones with no real explanation as to why. Those who own the Diamond Edition are given little reason to purchase it again and if your main goal is to obtain it digitally, I recommend bypassing the physical release altogether.